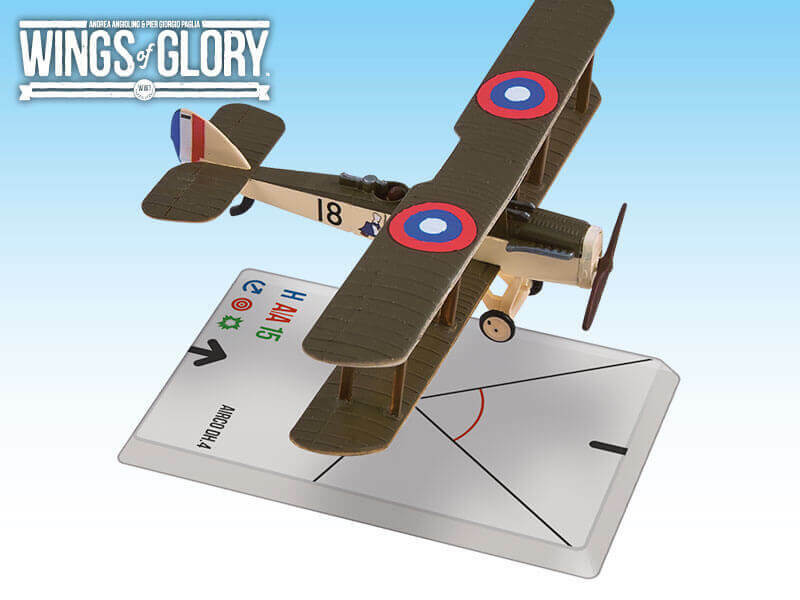 Each Airplane Pack is a complete painted and ready to play model in 1/144 scale, including a maneuver deck and gaming base. 100% compatible with any other WW1 Wings of Glory or Wings of War game product. The Airco DH.4 was a British two-seater biplane of the First World War. It was the first British two seat light day-bomber to have an effective defensive armament. The DH.4 proved a huge success and was often considered the best single-engine bomber of the War. It was flown by a number of famous British and American aces, such as Frederick Cotton and Charles Bartlett.